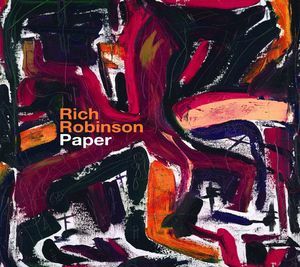 Paper is the debut solo album from Black Crowes guitarist Rich Robinson. This album contains brand new material along with songs that were initially written for Robinson's 2002-2003 project, Hookah Brown. Robinson handled guitar, bass, and other instruments as well as taking over the lead vocals, with the gaps being filled in by Joe Magistro (drums), Eddie Harsch (keyboards, credited as Eddie Hawrsch), Donnie Herron (fiddle, violin) and his son Taylor Robinson (percussion). Copyright Sunshine Daydream. All Rights Reserved.